Dream of Red Mansions is a spectacular version of a Kunqu opera brought to the screen by an acclaimed writer-director. It's adapted from one of China's most popular novels, written in the mid-18th century, which tells the story of the changing fortunes of the Jia Family, focusing on the romantic rivalry and friendship among Jia Baoyu, Lin Daiyu and Xue Baochai. 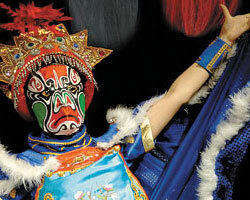 UNESCO recognised Kunqu as a 'Masterpiece of the Oral and Intangible Heritage of Humanity'. 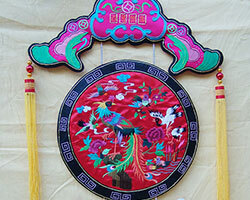 It is one of the oldest extant forms of Chinese opera. 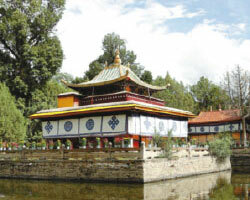 The style originated in the Wu cultural area. This very special Filming East Festival event will be held on 5 October 2014. For reservation please contact BFI box office 020 7928 3232 or online: bfi.org.uk.